Mark McNairy New Amsterdam puts its own twist on the familiar animal print tie, with this shark tie. 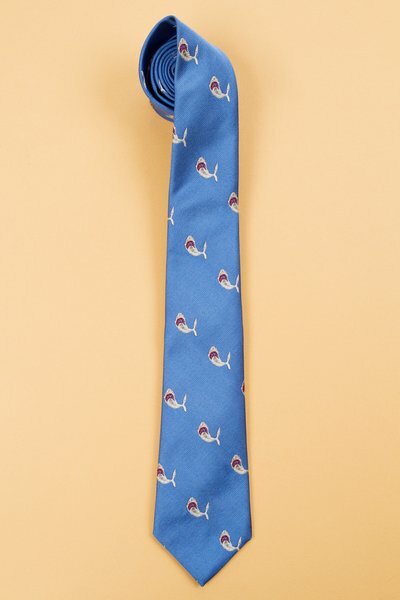 Advertised as a whale tie, you can see the animal on a field of blue, rearing up, with its mouth wide open. A gorgeous silk offering, that’s available online now. This entry was posted in Accessories, Ties and tagged New Amsterdam, Tie. Bookmark the permalink.